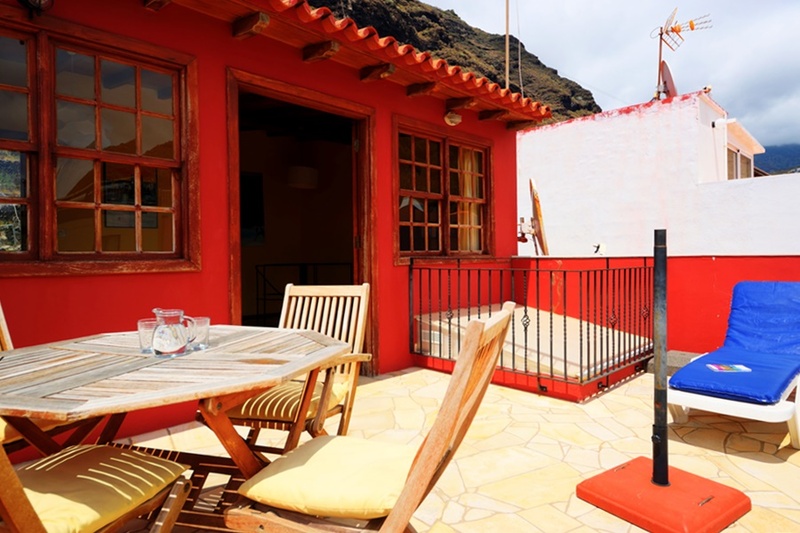 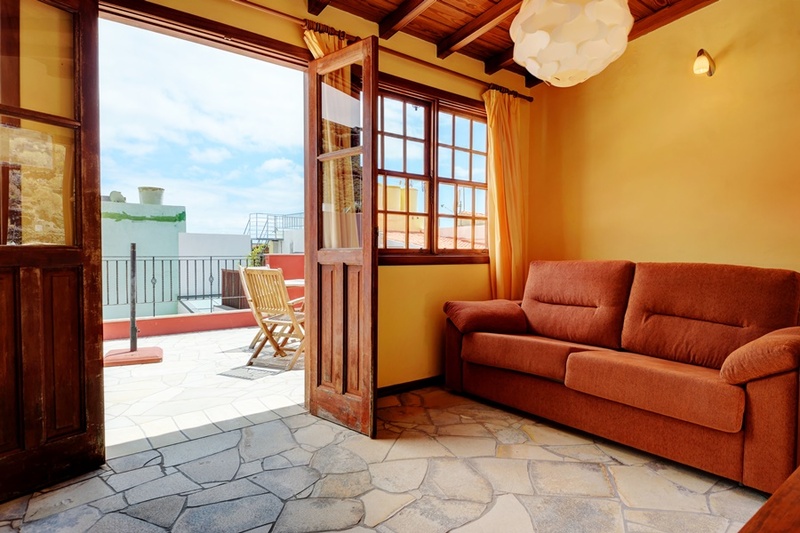 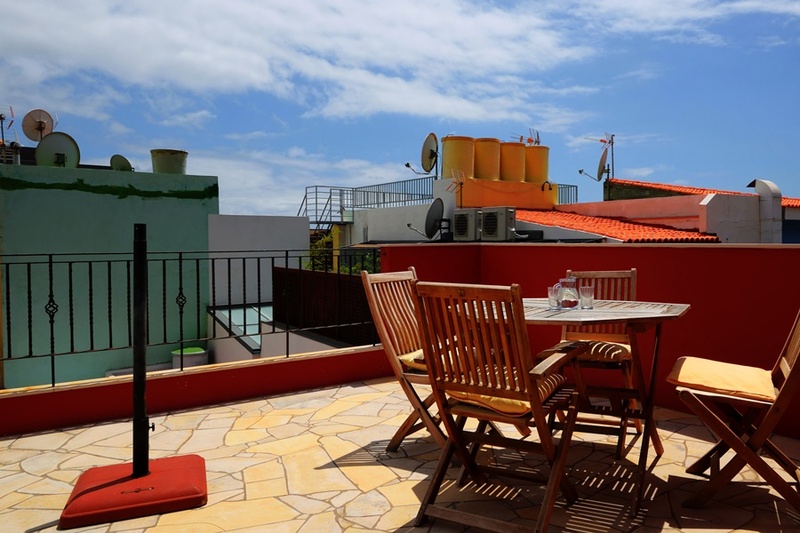 Lovely vacation house Maisonette Tazacorte has a sunny roof terrace with views of Tazacorte beach. 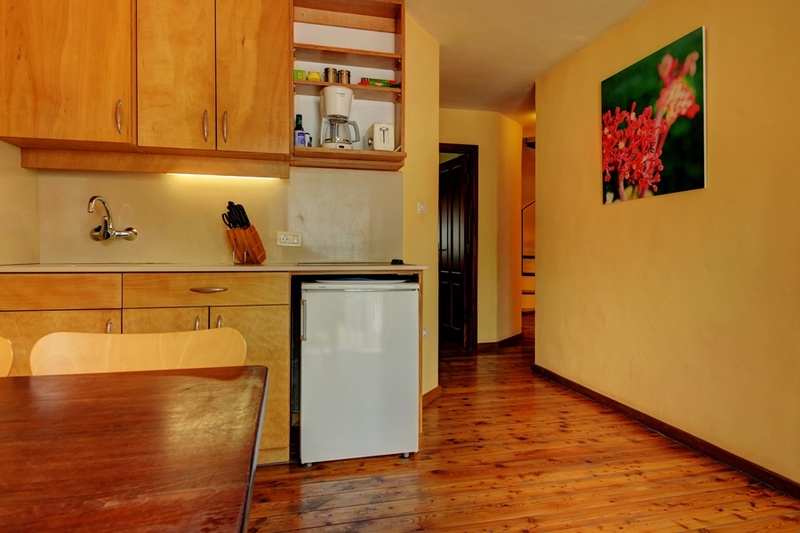 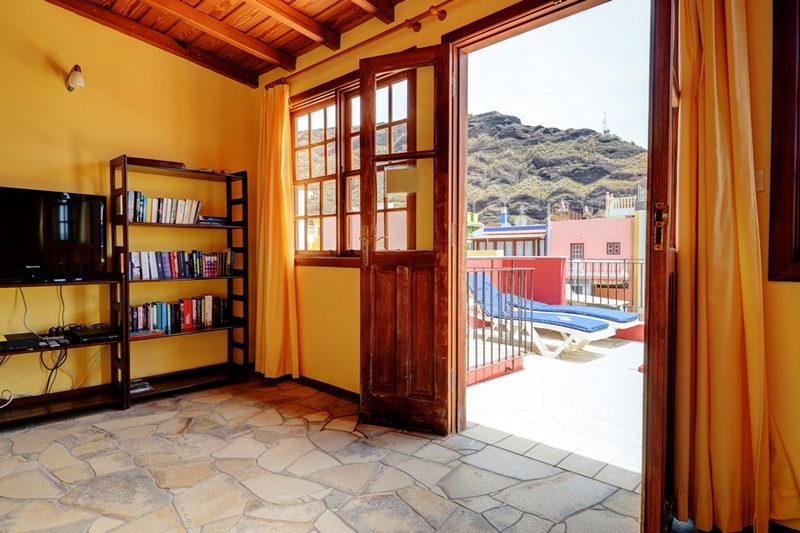 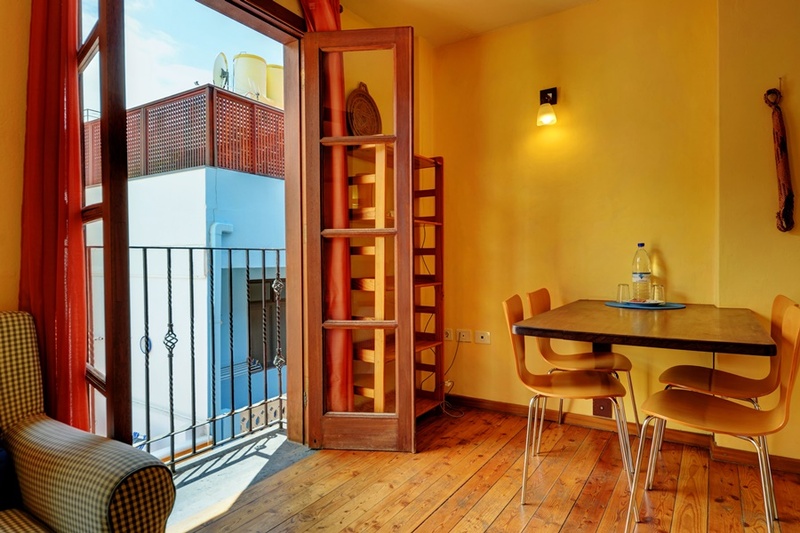 This 2-storey apartment is located in a small street 1 minute from Tazacorte Beach. 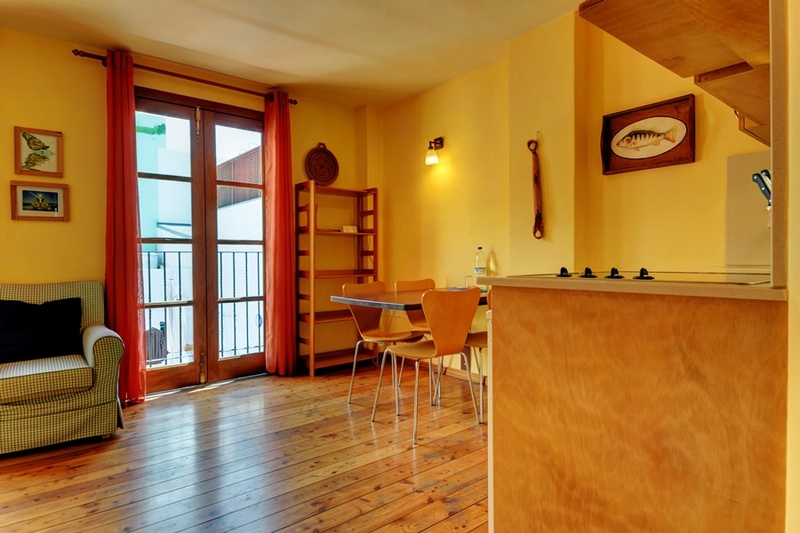 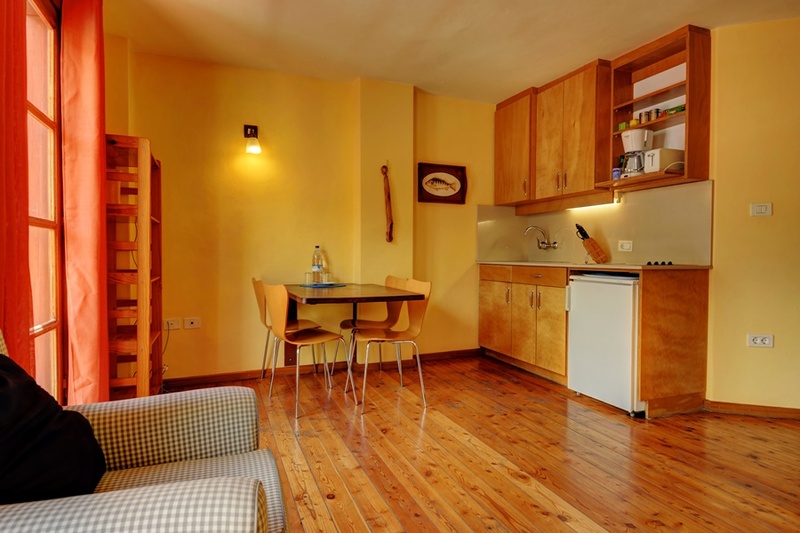 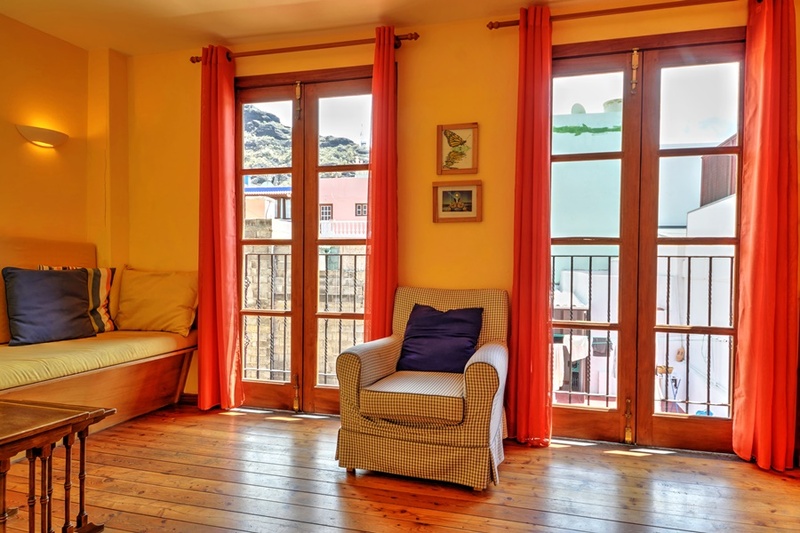 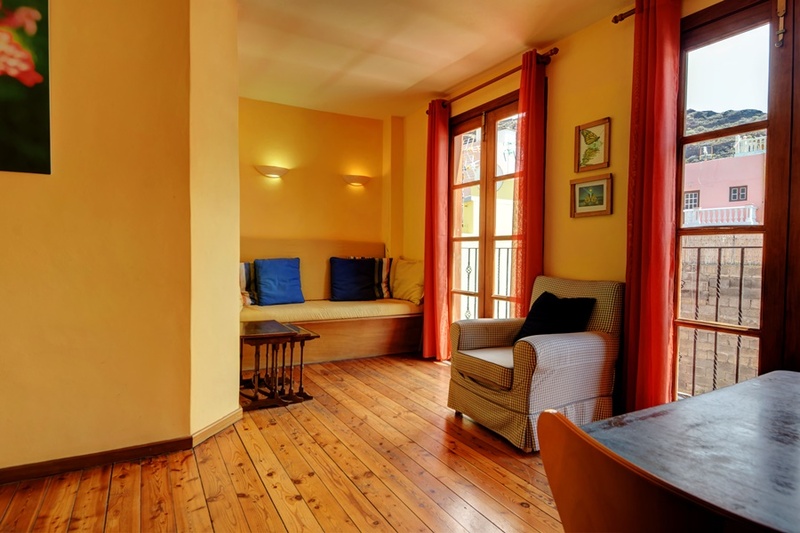 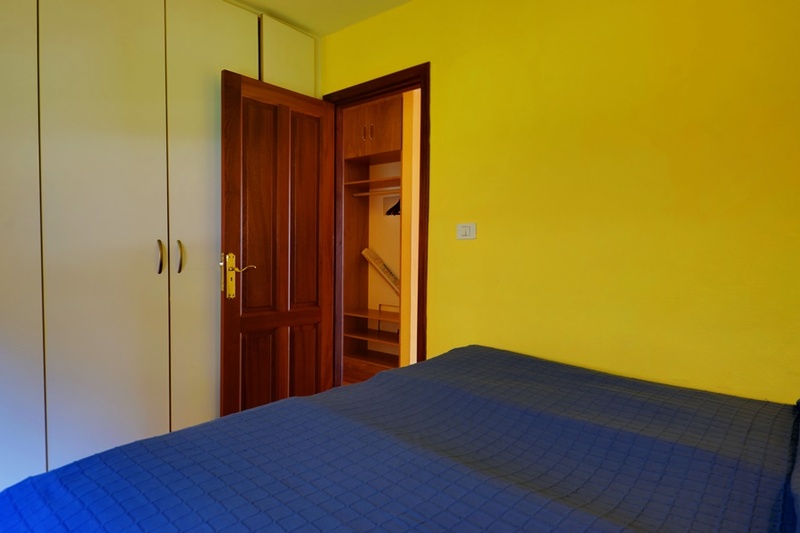 Maisonette Tazacorte is located on the third and top floor of a renovated building. 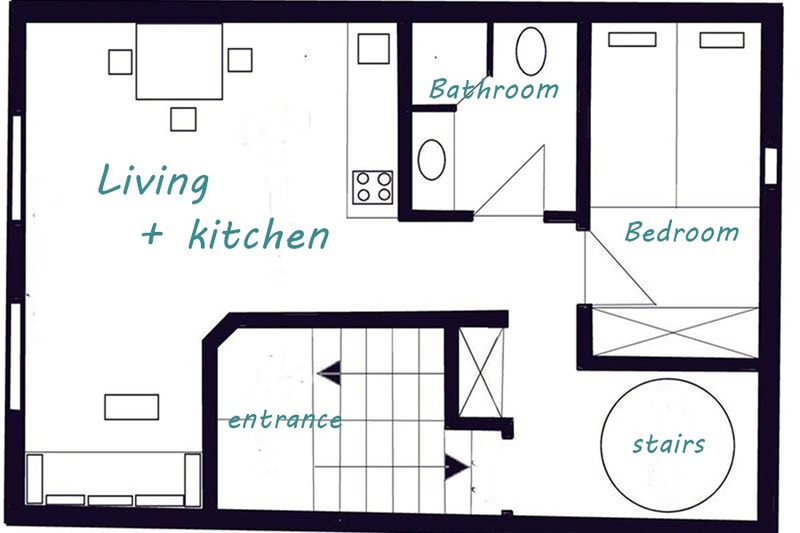 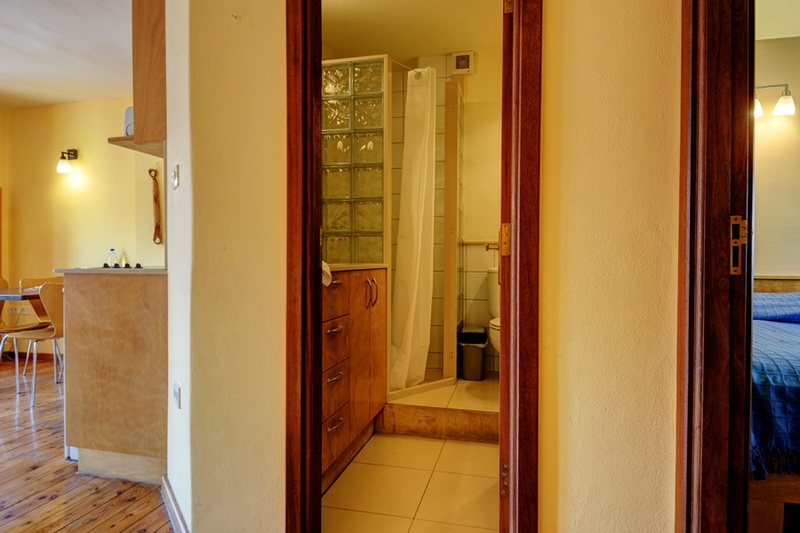 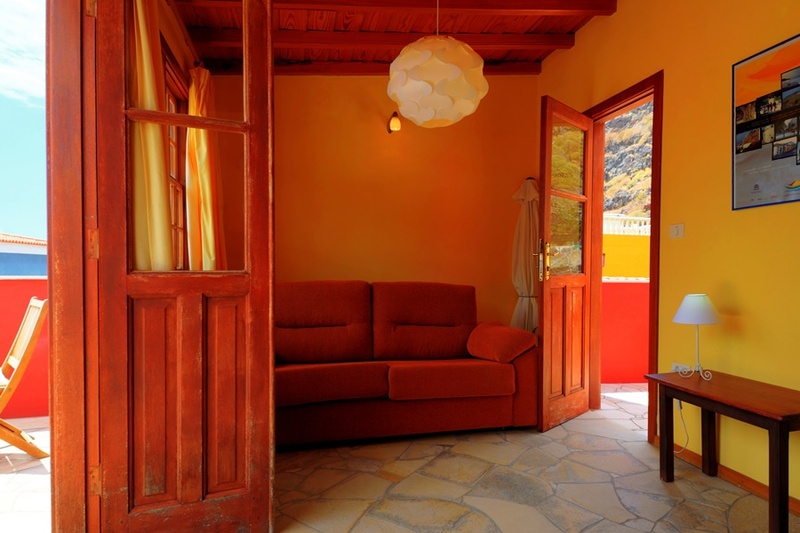 Upon entering you have a small hall, a bedroom for two persons, a bathroom with shower and washing machine and via the open kitchen you come into the living room with internet. 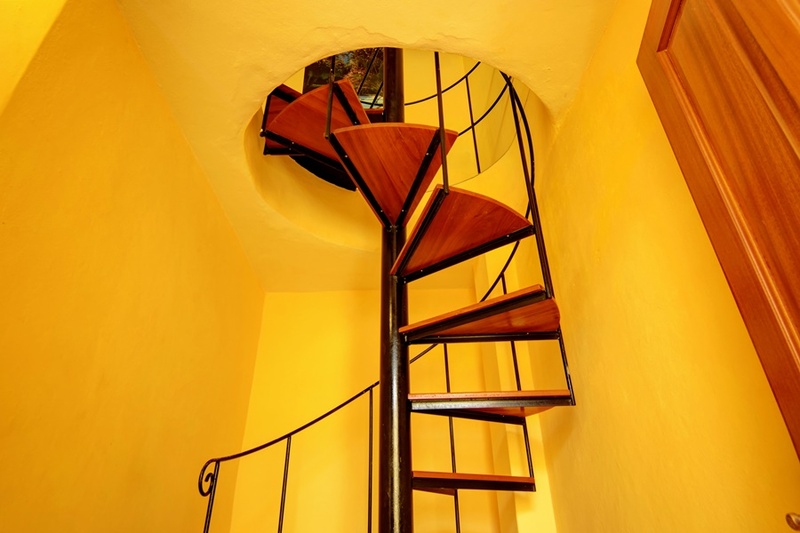 Via a spiral staircase you get to the top floor in the tv room with a balcony at the back of the house and on the other side a spacious roof terrace overlooking the beach and the Tazacorte terraces. 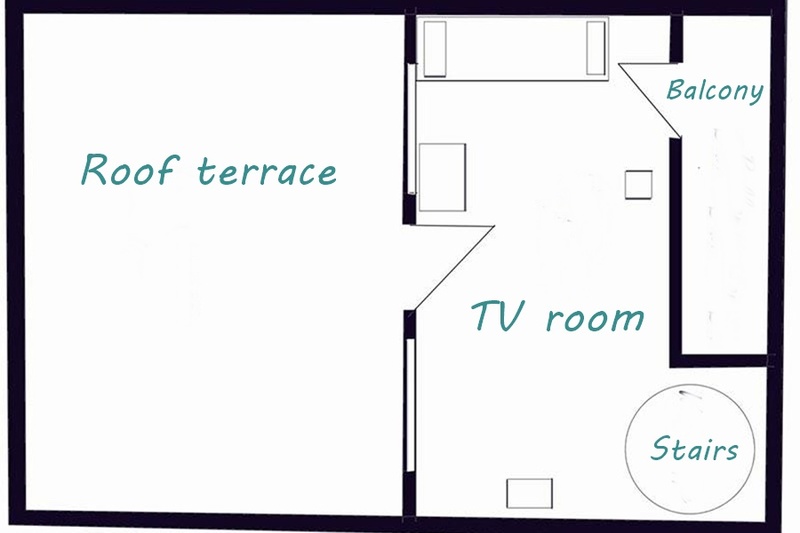 The TV room has a sofa bed that can be used for the third person. 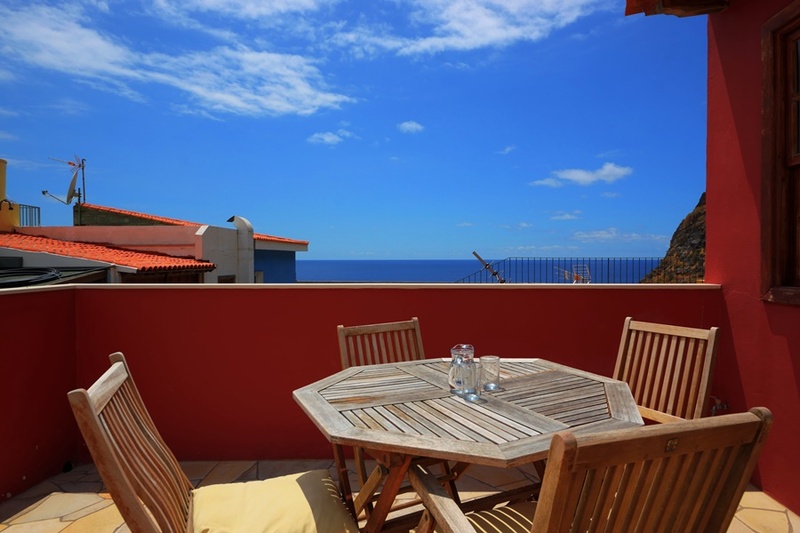 The terrace has a dining table with chairs and two sun loungers for relaxing in the sun. 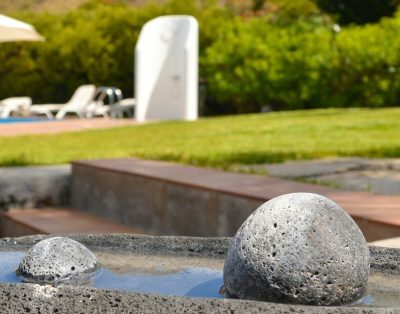 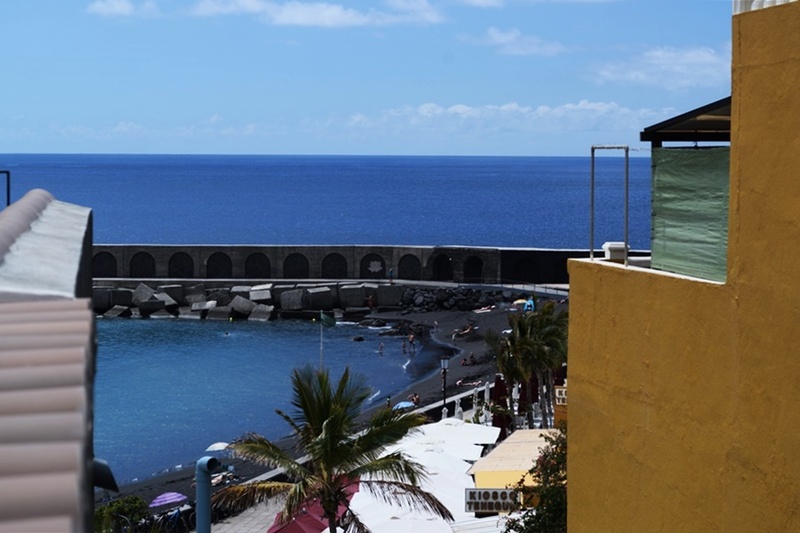 The town Tazacorte with the longest beach on La Palma offers many opportunities for recreation for the guest. 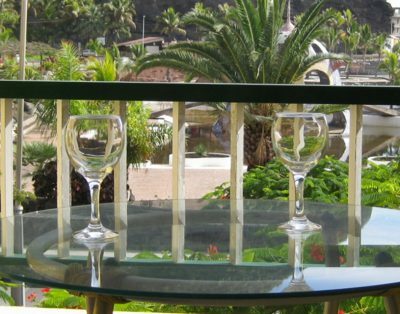 There are several restaurants, a supermarket, a pharmacy, a shop and a goldsmith, a gift shop and an ice cream parlour in the small town. 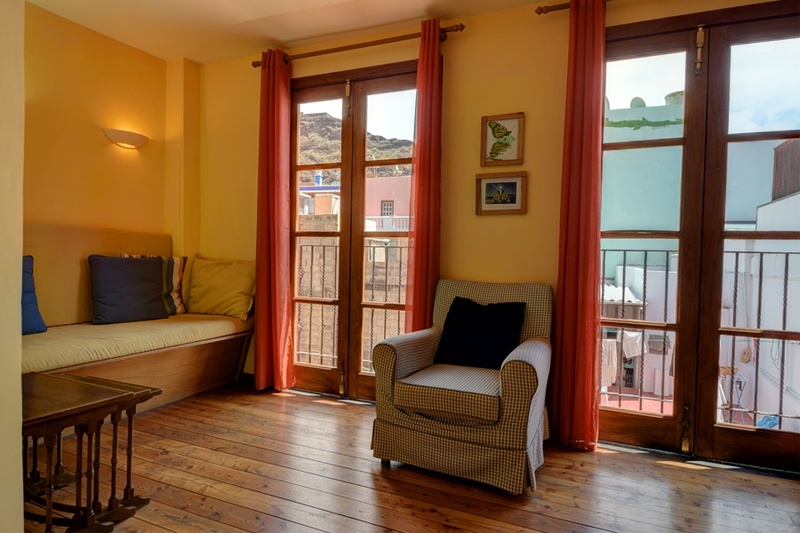 In the car-free old town of Puerto Tazacorte, you can find the original life of the Palmeros. 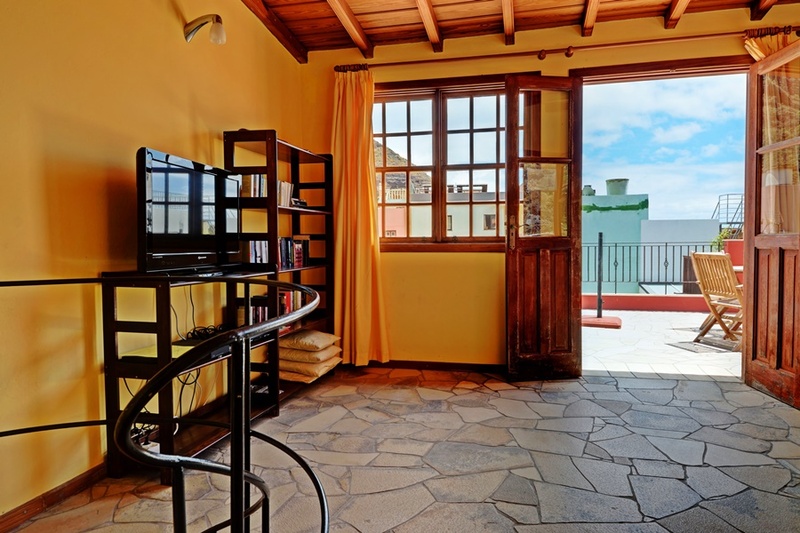 A rental car is not necessary, since there is a bus stop and a taxi stand nearby. 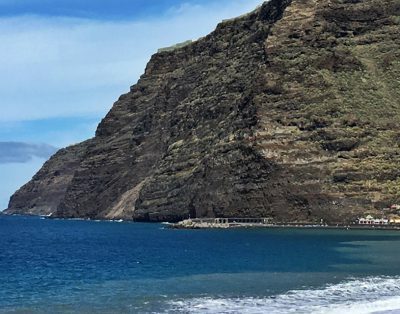 Besides trips to watch whales and dolphins you can also rent canoes to ride the Atlantic Ocean. 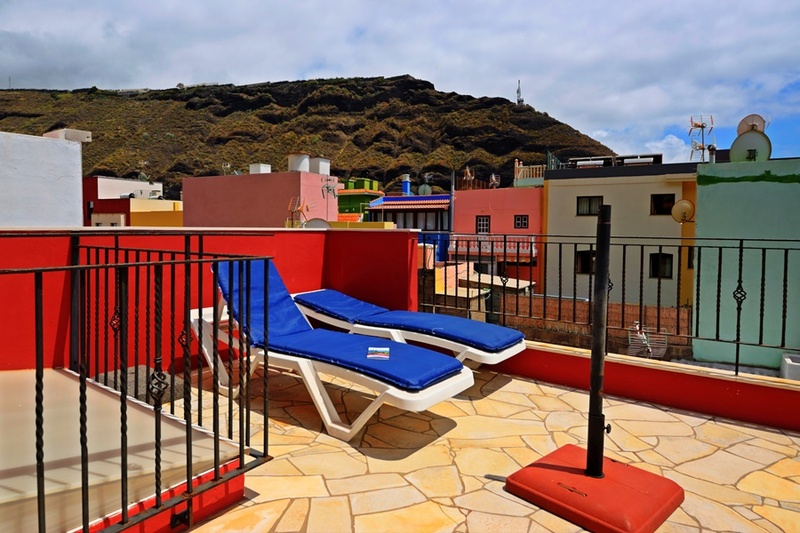 Sunbeds and umbrellas can be rented on the beach. 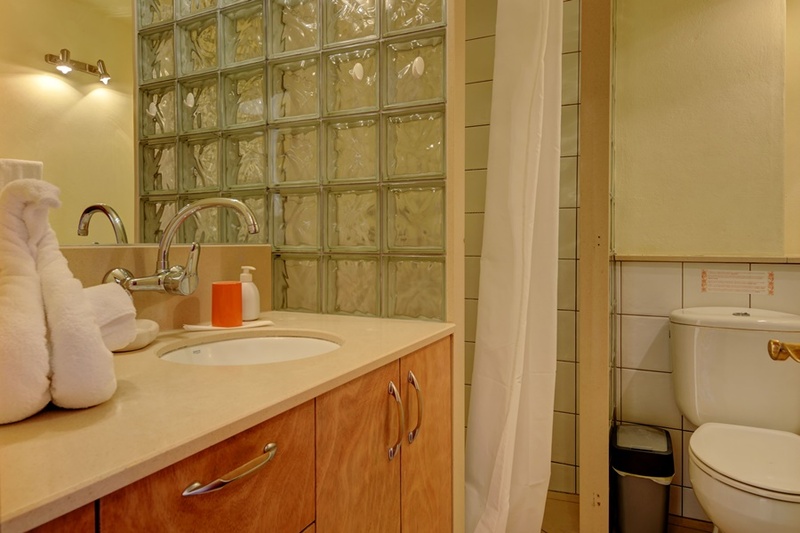 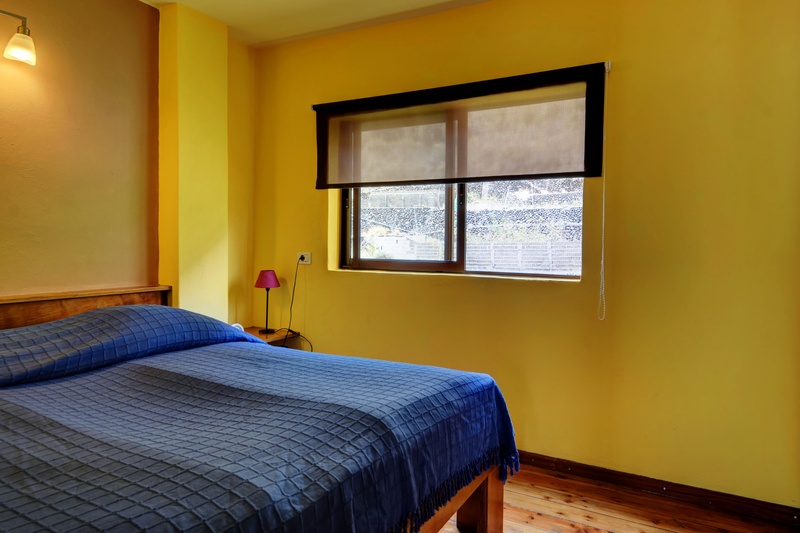 For stays of less than 7 nights we charge an extra cleaning fee.